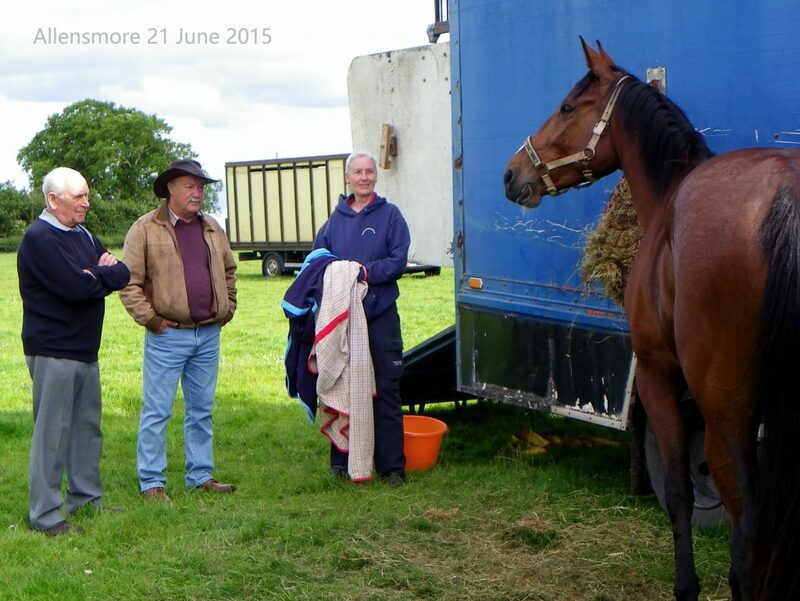 On Sunday 14th August 2016 the Hereford & Borders Harness Racing Club invite patrons to Home Farm, Allensmore for their final meeting of the season. It will be a very special occasion as they goodbye to Stella Havard who has served as chairperson for the Club for an amazing 22 years. Her passion, commitment, effort and dedication over the years have been witnessed on a daily basis and those within the Club wish her every success in whatever she chooses to dedicate her new found spare time. The Racing Horse would especially like to add our personal thanks to Stella for her invitation to link-up and help promote harness racing at Allensmore and consequently for her time, grace and kindness since. It has been an absolute pleasure to be involved with the Home Farm scene albeit in a tiny way and we also wish her every success for the future. Stella Havard is a very special lady and she will be sorely missed though we fully expect to see her at Home Farm racing her lovely mares Fantasizing and Tantalizing. 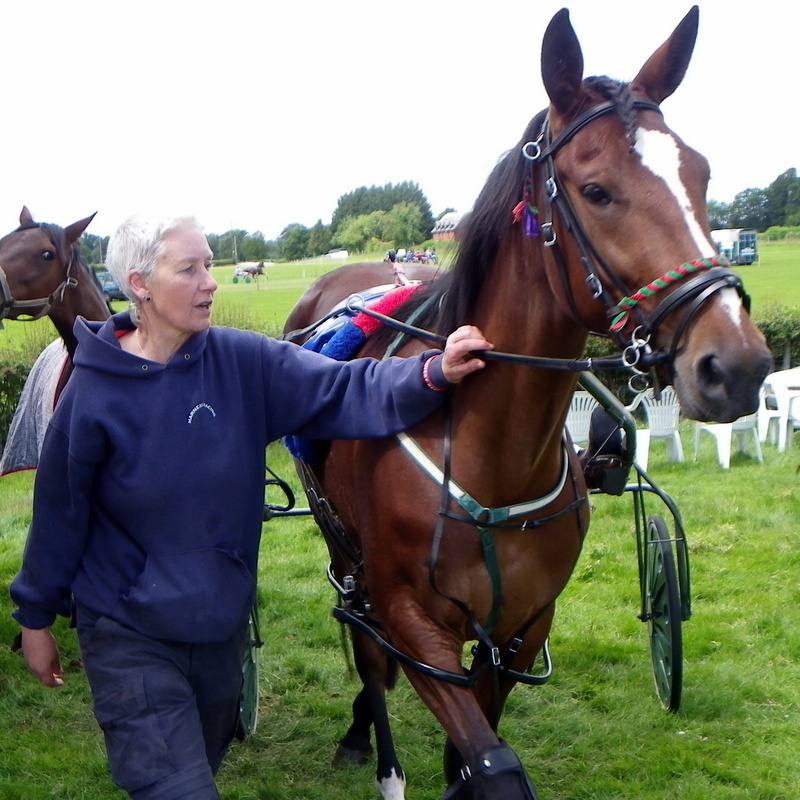 On Sunday Once again Allensmore have a competitive 10-race card to close the season before three weeks of high profile racing in Wales with Boughrood, The Tregaron Festival and Lampeter. Racing gets under way with a wide-open C Class driver's race where a number of runners have good claims. Those seeking to follow up wins from last weekends Tan Y Castell meeting at Aberystwyth include Hendre Bob, Ryds Mojo, Masquerade Avenue and the evergreen 12yo Wilbro Maverick. In the WWHRA Series race Wellfield Earl looks dangerous with the benefit of the 1 draw. In the top grade pace 3yo filly Jessies Conquesst runs and despite a 30 yard trail could take all the beating. The final race at Hereford & Borders this season will be a members handicap pace and July's Abertystwyth Saturday final winner Sunglasses Ron looks to have every chance of finding the winners enclosure for the first time since then. Race 1: Outlaw Memorial C Class Handicap (kindly sponsored by Jackie Maguire). Race 2: Mac McArthur The Medic Maiden & Novice Handicap (kindly sponsored by Mac and Pauline McArthur. Well, so this is IT then, the last H&B HRC meeting of 2016 at the Lawrence family’s wonderful Allensmore circuit and my Final one as Chairman after 22 years. To put it in perspective, Jed Strickland, the efficient Club Secretary, was 4 years old when we ran our first ‘Horse & Hound’ Cup fixture here! So many Unsung Heroes have made all these years of racing possible – great memories of mighty horses such as Stoneriggs JR (who did an unofficial world record for grass on this track TWO DECADES AGO). There is not the space to thank all those who have been so key, but it would be remiss of me not to mention Jim Lawrence, John Harris, Brian & Tracy Reynolds, Richard Owens, The Beaumont Family, Nick Powell, Richard Evans and Family, who were there At The Beginning, and are still supporting the racing here. And to thank EVERYONE who works so tirelessly (and for free!!) nowadays to make racing possible. I’ve been proud to be part of such a team, who have been instrumental in many memorable achievements – The William Hill Series, Cheltenham and Hereford Racecourses, & Kempton Park to name but a few, as well as taking on more fixtures here to ensure the continuation of the sport. I won’t pretend that today won’t be an Emotive one for me, but it’s time I got Parole, because I know I keep my friends and family a little too busy for comfort! Martin, in particular, bless him, positively sizzles at this time of year…… As ever, the racing today will be heart-stopping, with several pieces of sought-after silverware on offer – The Young Will Trophy, The Outlaw Memorial and The Gwyn Owens Memorial as well as another leg of the Wales & West Series. Good luck all! Hereford and Borders Harness Racing Club would like to thank all the volunteers, sponsors, competitors and everyone who makes the racing at Allensmore possible. No unauthorised person allowed on the track or in the paddock area. Please obey the instructions of the stewards of the meeting.